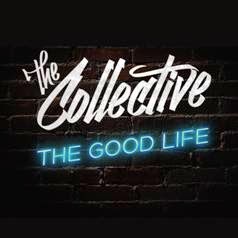 This brand new song is a definitely a feel good track all about showing someone a good time whilst tapping in to The Collective’s fun loving nature and cheeky side. Speaking of the track Julian says “The Good Life is a song about showing someone a good time. While this seems like a selfless act, there is a boastful edge to the song, claiming that we can 'fly around and see every city in one night', thanks to the power we have”. The Collective released their debut Top 10 ARIA single Surrender and mini album, both of which are certified Gold sales. Since then, as well as the release of their second single Another Life and have been hard at work, from writing and recording new music and spending time in the studio, to travelling around the country and meeting their loyal fans. The track is available from 19th September and is available on iTunes pre-order now. Until then here is an acoustic version of Ariana Grande's track Problem..!